Even if you can't find the ideal petrol generator for your needs on this page, get in touch and we'll get hold of the perfect generator direct. 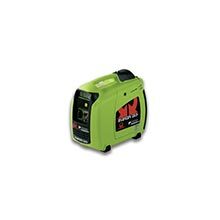 We have a range of portable petrol generators that provide extremely convenient solutions for anyone who needs a portable power source. Our portable generators are lightweight but still provide plenty of power, helping to meet your needs, whatever they may be. A petrol generator that you can easily move around is suitable for a wide range of uses, whether you need something for your caravan, narrowboat or home, or you want a generator for your travelling business. Our petrol generators have handy carry handles, and some also have built-in transport kits, so you can move them around without having to lift them. If you need a generator for light use, a portable option makes a lot of sense; you can move it to wherever you need it most. A petrol generator for sale UK can provide a useful sine wave power source for your home, business or various other purposes. Take a look at our selection of petrol generators to find one that will work for you. 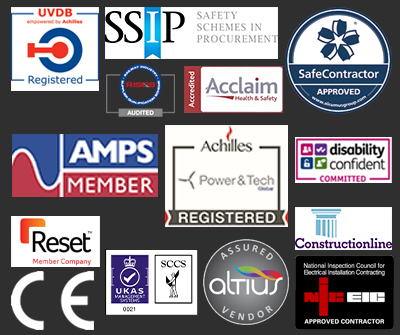 Or if you have any questions about our range of portable generators for sale, get in touch with our team of experts via email at enquiries@adeltd.co.uk or via phone on +44 1977 657 982. Petrol generators are excellent tools for both domestic and commercial use. They can save the day if the mains power isn't available or they can be used as a primary power source for many purposes too. There are some excellent reasons to choose a small petrol generator, and here at Advanced, we have a number of cheap petrol generators for sale to meet your needs. When you are coming to select a generator, you will be faced with a number of choices to make. One of them is the fuel that powers your generator, with options including petrol and diesel. Petrol generators offer several great advantages, whatever your needs are. A petrol generator is ideal for providing backup power to any home or small business, particularly if you opt for a quiet portable option. They can provide a particular peace of mind if you are someone that lives in more rural areas, where severe weather can leave you stranded and without power. Petrol engine generators can also be used to provide electrical power for various recreational activities, including caravanning and camping. Petrol generators are particularly good value for anyone looking for an electric generator for light use, such as domestic users. The initial costs of a petrol generator are affordable, especially when you don't need a huge amount of power and you won't be using it all the time. Petrol is cheaper to buy for your generator if you only want one that you will run occasionally and for short periods. There's no need to spend money on a more expensive generator if it's not required for heavy use, such as a heavy duty portable unit. More expensive electric start generators can help you to make long-term savings, but that's not necessary if you only need one for light use. Petrol generators have a variety of uses in both domestic and commercial settings. Firstly, serving as a backup source of power is one of the primary ways in which they can be helpful. Whether the generator is portable or has a wheel kit or not, it can be used in the event that the mains power fails. A petrol generator is also useful when a source of power might be unavailable. This could include domestic situations, from houseboats to remote cottages, or in business contexts too. For businesses, standby silent generators can protect important equipment by ensuring it doesn't lose power during a power cut. Petrol inverter generators can serve as a source of power at events such as festivals. For example, a business running a stall at a festival or outdoor event might use a portable power generator to power their equipment, or perhaps lights and heating. 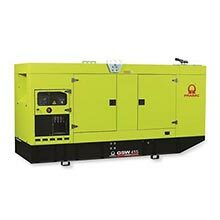 Petrol generators can also be used on other worksites, such as construction sites, where they can provide temporary power. Sometimes, they can be useful sources of permanent power too. Petrol generators can be useful for people who enjoy camping and other outdoor activities. They can provide power for camping stoves, lights and various other equipment to make camping more comfortable. You might also use a petrol generator for personal events outdoors, including weddings and parties. They can be good to use in marquees or perhaps to power lights, heating or cooking equipment when you have a party. You don't have to have a business to enjoy hosting events. Single phase petrol generators offer a very affordable option for anyone looking for an inexpensive way to furnish themselves with a generator. Without prices starting from only £350 (+ VAT), you can find a reasonably-priced option that meets your needs. A single phase generator is designed to handle light loads, powering them with a single, continuously alternating voltage. Single phase generators are great for homes and small businesses that don't need a huge amount of power. 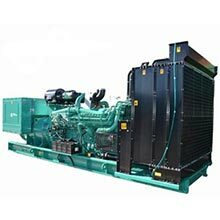 All of our petrol generators are single phase to make it easy to choose the right generator for your needs. One of the things you might want to consider when you choose a petrol generator is how you start it up. With our petrol generators, you can choose between a recoil start or key start generator. The recoil start option is a pull-string mechanism, the same as you might find on a lawn mower or other small power tools and equipment. As the name suggests, a key start generator has a key that you turn to start the engine. You might prefer one of these over the other, but it won't necessarily affect performance. It's also important to take a close look at the power options offered by a generator before you decide whether it's right for you. Each generator has a standby power rating and a prime power rating. Standby power is for emergency situations and short-term use, allowing you to use your generator when you need it most. Our petrol generators have standby power ratings ranging from as small as 2 kVA (2 kW) up to 7.2 kVA (6.5 kW). 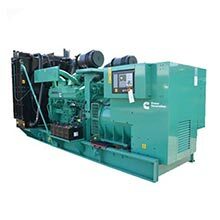 When a generator is used continuously for eight or more hours in a 24 hour period, it is considered a prime power source. 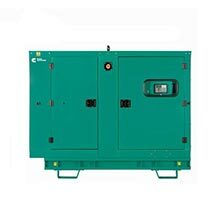 Our petrol generators also have a prime power rating, which ranges from 1.6 kVA up to 6 kVA. This should help you choose a generator if you're looking for something that you can use more often and for longer periods. Small businesses can benefit from choosing a generator with a higher prime rating. Another thing that you might want to check is the available sockets on generators. Some of our petrol generators have single 230V power sockets, while others have up to four sockets with different power outputs. Consider your requirements when choosing your generator to make sure you get one that meets your needs. If you need to power multiple items, perhaps with different voltages, you should think about the benefits that the different socket options will bring you. We have several different well-known and popular brands to choose from if you're looking for a petrol generator. 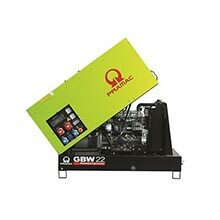 Our petrol generators are Pramac and feature engines from Pramac themselves, Yamaha, and Honda. Pramac's portable petrol generators are lightweight but powerful. Their compact size makes them easy to store and to carry around. Some Pramac generators feature engines designed and built by Pramac themselves, so you know that the whole system has been built to fit together perfectly. As an alternative, we offer petrol generators feature Yamaha engines instead. Yamaha generator engines are highly rated and are sure to deliver top quality to meet all your power needs. Yamaha generator engines offer high power and performance, along with great reliability and durability. We also have Pramac generators that feature Honda engines. Honda is another huge name in the motor and power industries. Their engines are built to be dependable, easy to start and boast low noise levels.